Have you ever wondered what it feels like to hit a home run at Yankee stadium? Or how about the rush of draining a buzzer beating 3-pointer at the Staple center? What about making the “Lambo leap” after a touchdown catch? Unless your last name’s Jeter, Bryant, Favre, or one of the handful of other greats in each respective sport, the answer’s likely going to be no. 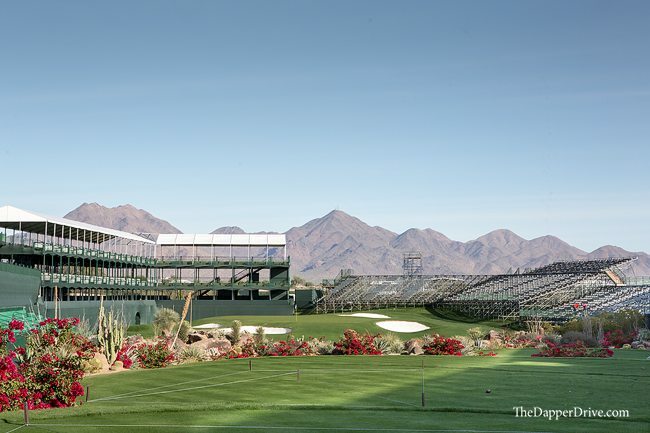 However, your name doesn’t need to be Fowler, Watson or Woods to enjoy a tour-level experience at a championship golf venue. 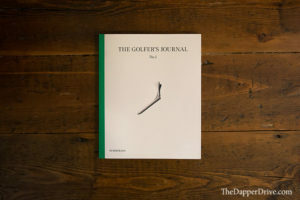 As golfers, we have the good fortune of teeing it up at the very same courses our favorite tour guys play on a weekly basis. 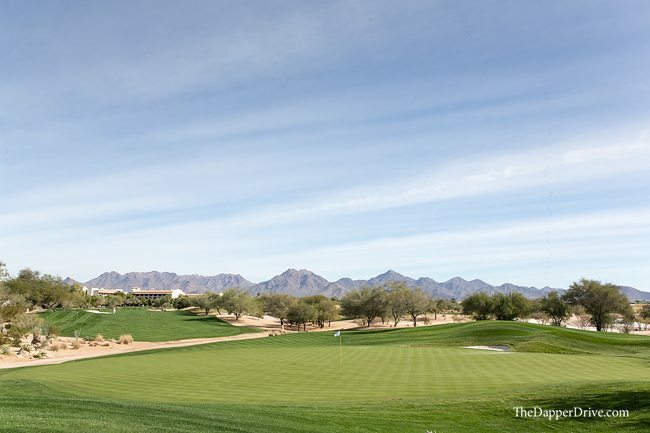 And when it comes to unparalleled, electric golf venues, there’s one that stands taller than all: TPC Scottsdale’s Stadium Course. Before I dive in too deep, I’ll answer the burning question on everyone’s mind — Yes, I hit the green! I’m referring to the 16th hole, of course, where the scene is absolutely crazy during tournament week. 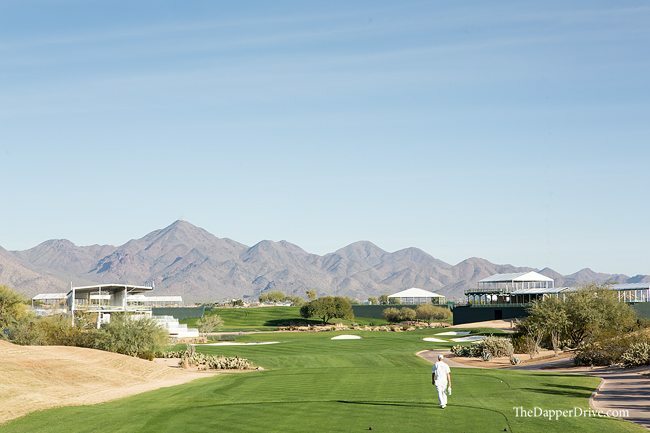 Despite the banning of caddie races in recent years, fans pack the stadium seating to cheer on (or boo) their favorite pros at this 160-yard hole. Love it or hate it, there’s no denying it’s uniqueness and entertainment factor during the event. 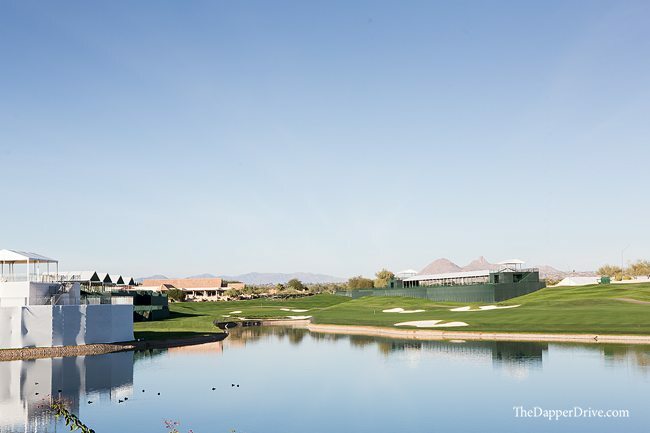 While the stands likely won’t be packed during your round, playing the Stadium course lends itself to a one-of-a-kind experience you won’t soon forget. 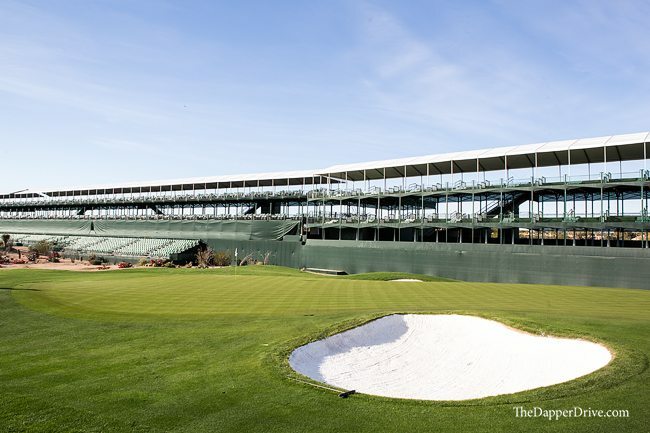 Construction to erect/tear down the stands at the Stadium course takes nearly 6 months, so paying the course a visit anytime between November and April means you’ll get to experience the same kind of setting as the tour pros. Making the walk from 15 green, through the tunnel and into the “stadium” style 16th hole is simply amazing. 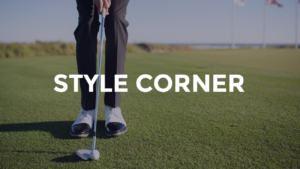 Even in a casual round, prepare yourself for some increased adrenaline as you approach the tee! 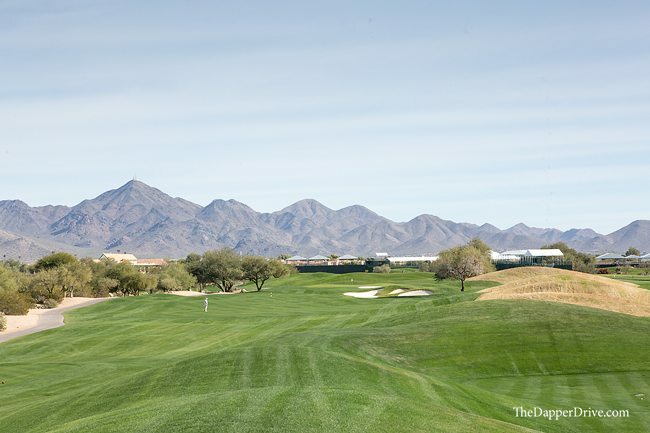 Add views of the McDowell Mountains to the backdrop of the colosseum of grandstands and its sure to rank atop your list of favorite golf course experiences. 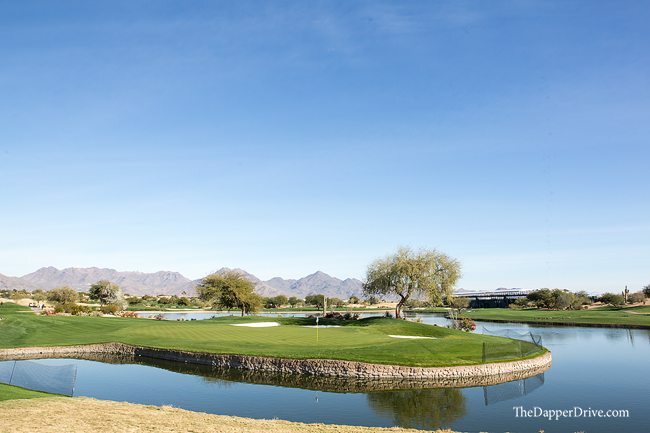 While the 16th is likely to sit atop your highlight reel after the round, the Stadium Course offers some great golf from first tee to last green. 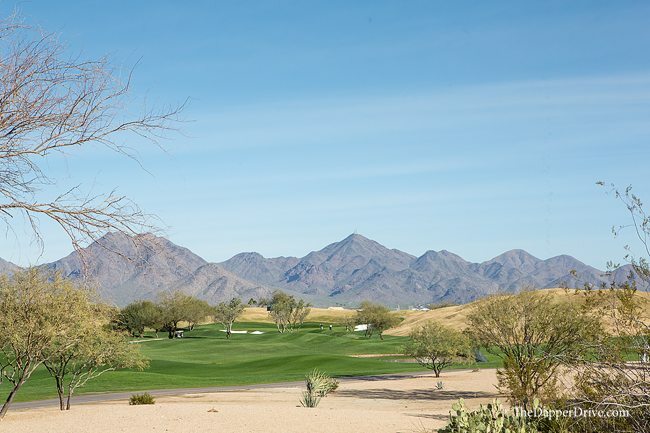 Continuous mountain views and perfectly manicured bunkering provide the an idillic contrast to the many shades of green on the golf course. 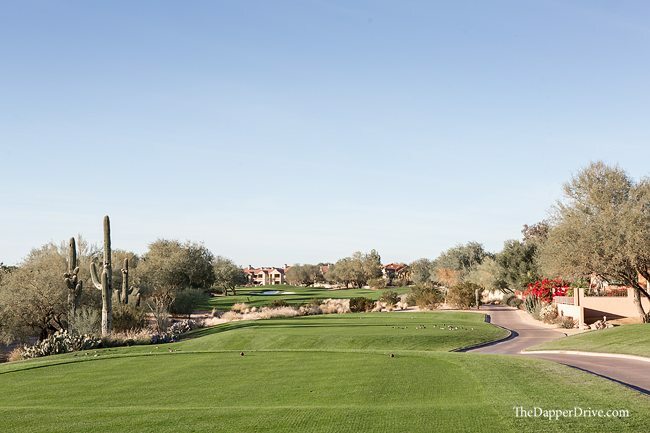 And while you’re smack in desert country, the lush, generous fairways of the Stadium course provides a nice reprieve from the narrow, desert style courses you find common throughout Scottsdale. Consensus seems to be the back 9 is stronger than the front and I’d tend to agree. The holes continue to get better and better as the round progresses, saving the best for last. Holes 15 through 18 leave for plenty of excitement, with lots of water and risk-reward decisions to be made. 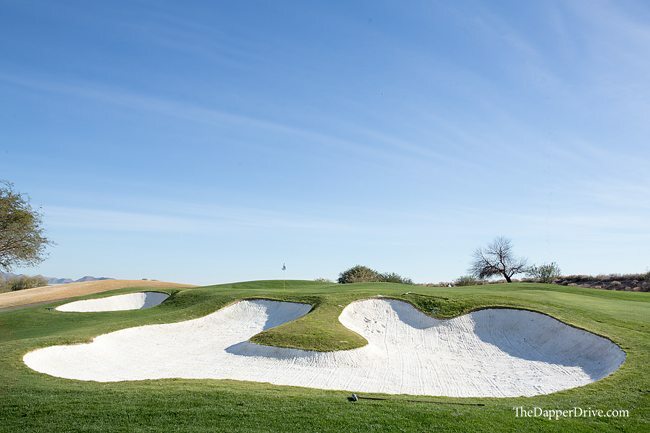 If you’re looking for a unique, tour-like experience, be sure to add the Stadium Course at TPC Scottsdale to your tee sheet. 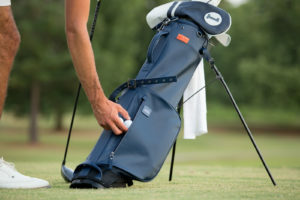 And sharpen-up those short irons — your buddies will never let you forget a missed green at the 16th!